Published: Dec. 31, 2012 at 05:03 a.m.
(4:37) (Shotgun) C.Newton pass short left intended for D.Williams INTERCEPTED by J.Vilma at CAR 18. J.Vilma for 18 yards, TOUCHDOWN. 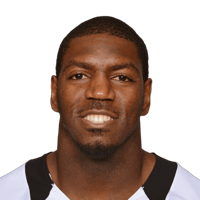 Published: Dec. 30, 2012 at 02:27 p.m.
New Orleans Saints linebacker Jonathan Vilma returns an interception off Carolina Panthers quarterback Cam Newton 18 yards for a defensive touchdown. Published: Jan. 14, 2012 at 07:16 p.m.
(:24) (Shotgun) Alex Smith sacked at SF 45 for 0 yards (M.Wilson). FUMBLES (M.Wilson), RECOVERED by NO-J.Vilma at SF 45. J.Vilma to SF 45 for no gain (Alex Smith). Published: Oct. 30, 2011 at 04:14 p.m.
(1:31) (Shotgun) A.Feeley sacked at SL 1 for -9 yards (M.Jenkins). FUMBLES (M.Jenkins), touched at SL 0, RECOVERED by NO-J.Vilma at SL -2. TOUCHDOWN.